Another “data defined setting” like “show this label (true/false)” would be more intuitive. … and now we have it! 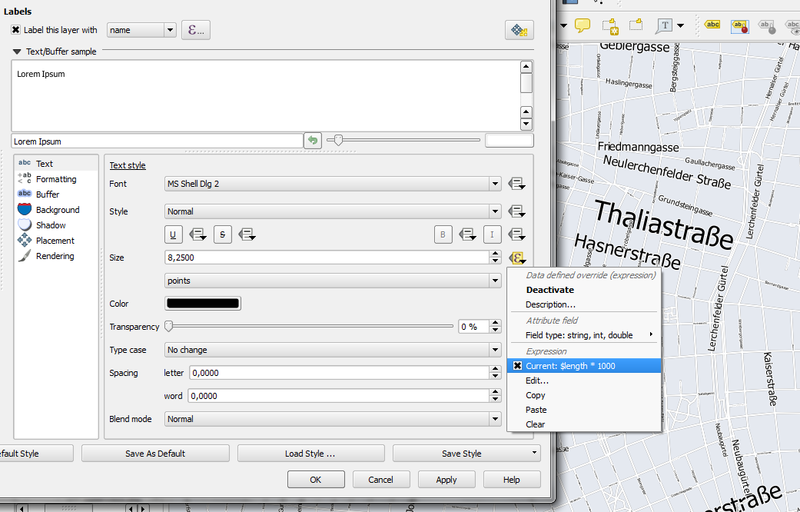 It’s called Show label and you can find it in the Rendering section of the labeling dialog. This post was motivated by a question by Eduardo here on this blog. Hope it helps! 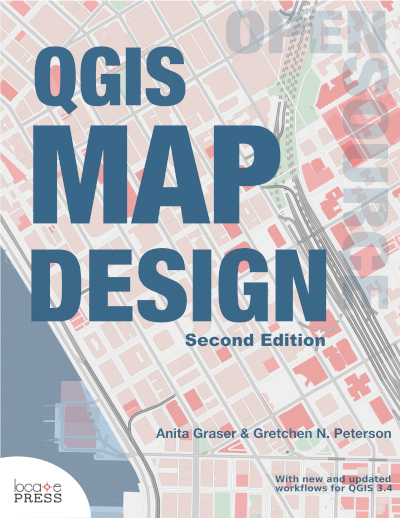 Today’s post is inspired by a recent thread on the QGIS user mailing list titled “exporting text to Illustrator?”. The issue was that with the introduction of the new labeling system, all labels were exported as paths when creating an SVG. Unnoticed by almost everyone (and huge thanks to Alex Mandel for pointing out!) 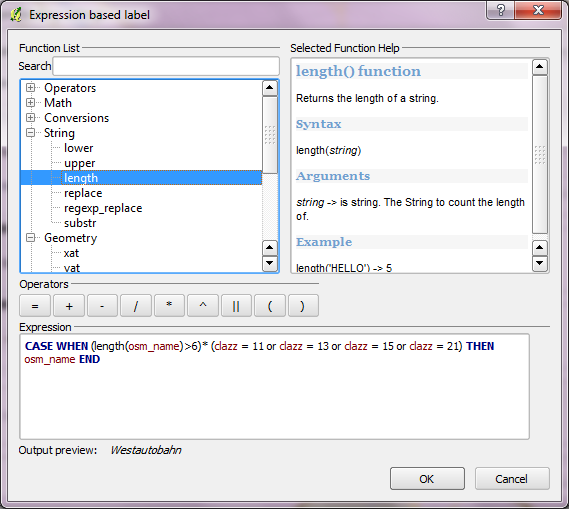 an option has been added to 2.4 by Larry Shaffer which allows exporting labels as texts again. 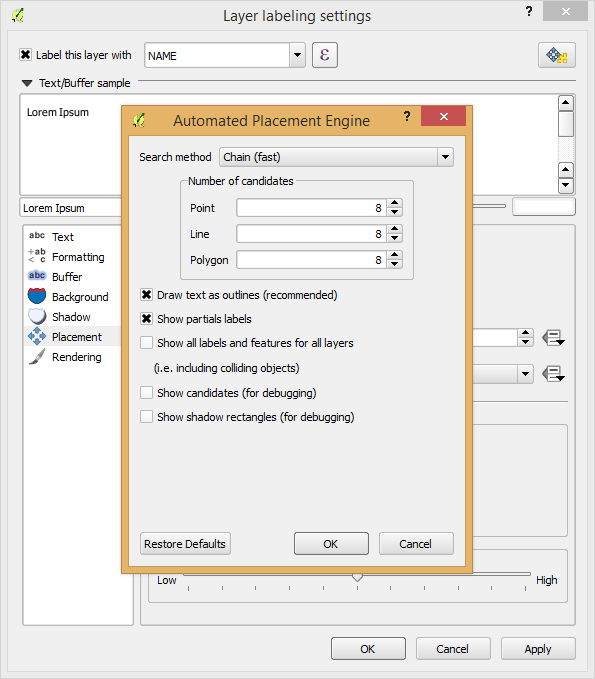 To export labels as text, open the Automatic Placement Settings (button in the upper right corner of the label dialog) and uncheck the Draw text as outlines option. before exporting and that you recheck it after. 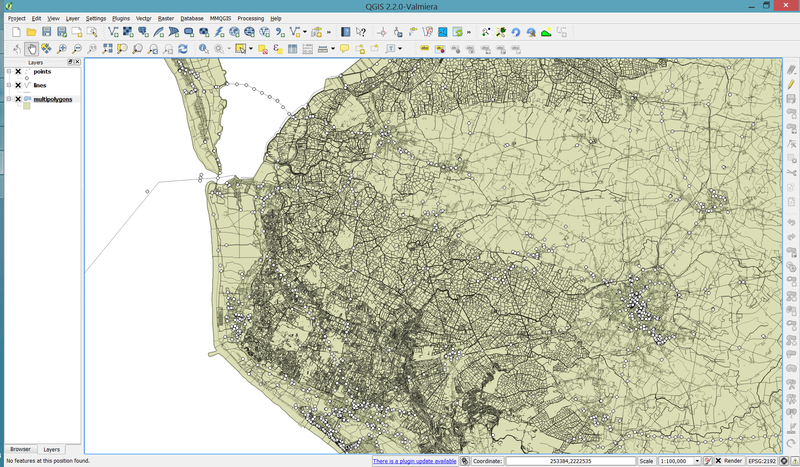 Raw OSM files can be quite huge. 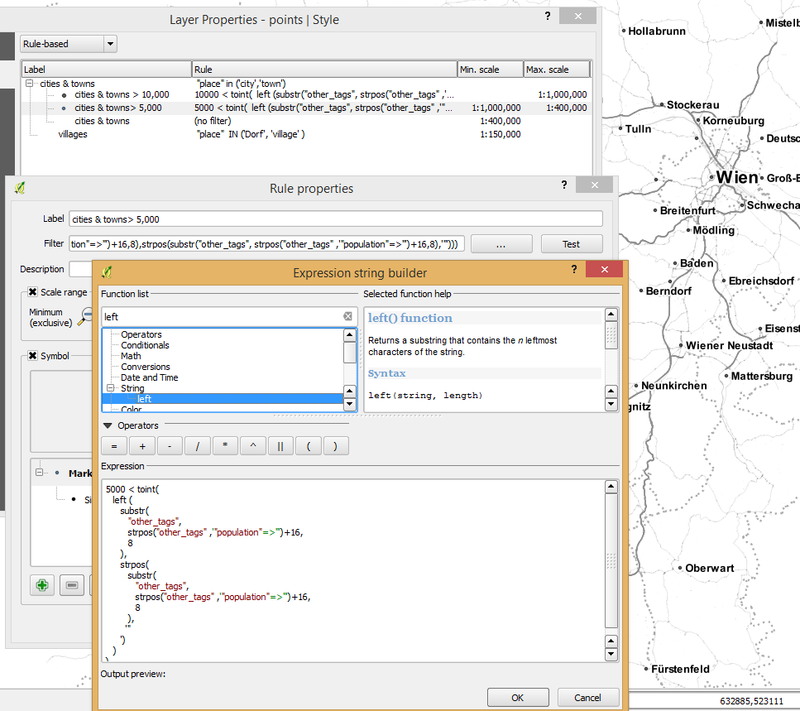 That’s why it’s definitely preferable to download the compressed binary .pbf format instead of the XML .osm format. 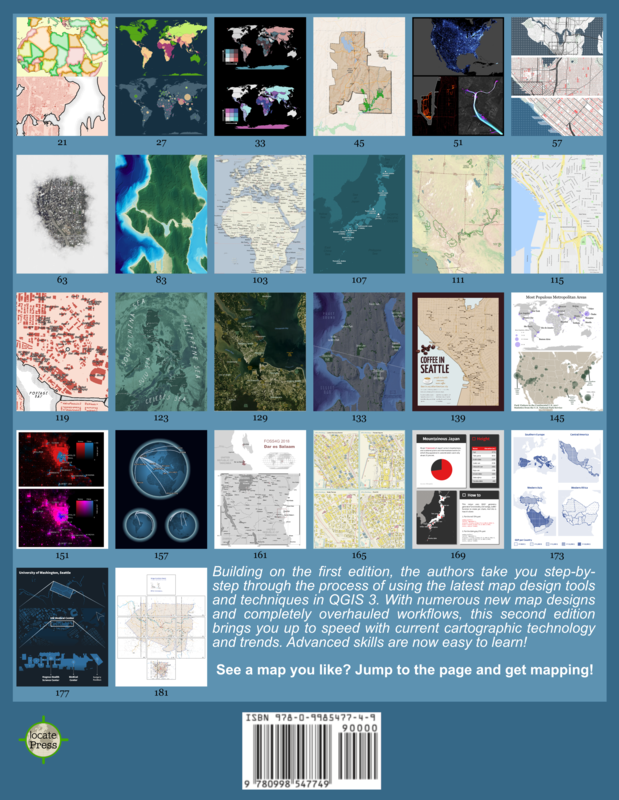 As a download source, I’d recommend Geofabrik. The area in the example used in this post is part of the region Pays de la Loire, France. 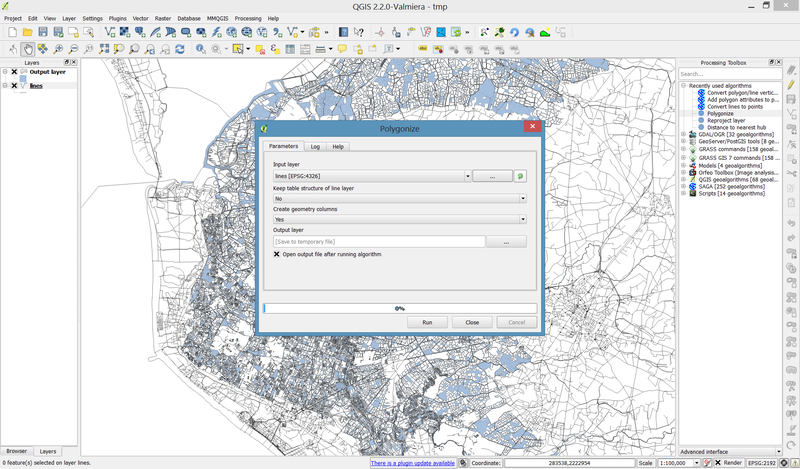 In the preprocessing step, we will extract our area of interest and convert the .pbf into a spatialite database which can be used directly in QGIS. 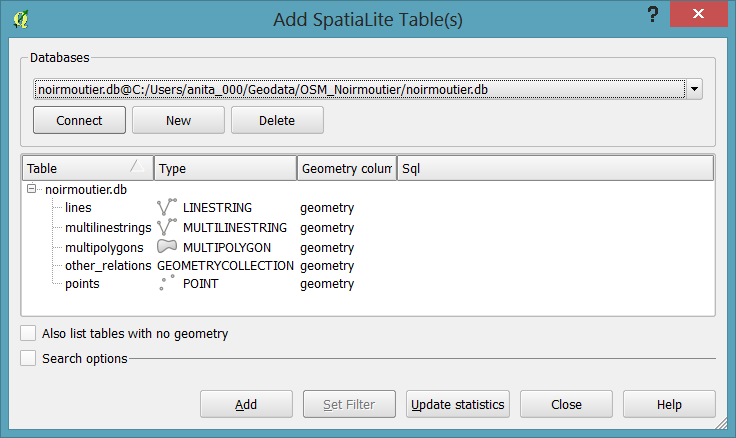 where the -spat option controls the area of interest to be extracted. There is no land polygon. Instead, there are “coastline” line features. Most river polygons are missing. Instead there are “riverbank” line features. First, we need to select all the lines where waterway=riverbank. Creating the land polygon (or sea polygon if you prefer that for some reason) is a little more involved since most of the time the coastline will not be closed for the simple reason that we are often cutting a piece of land out of the main continent. Therefore, before we can use the Polygonize tools, we have to close the area. 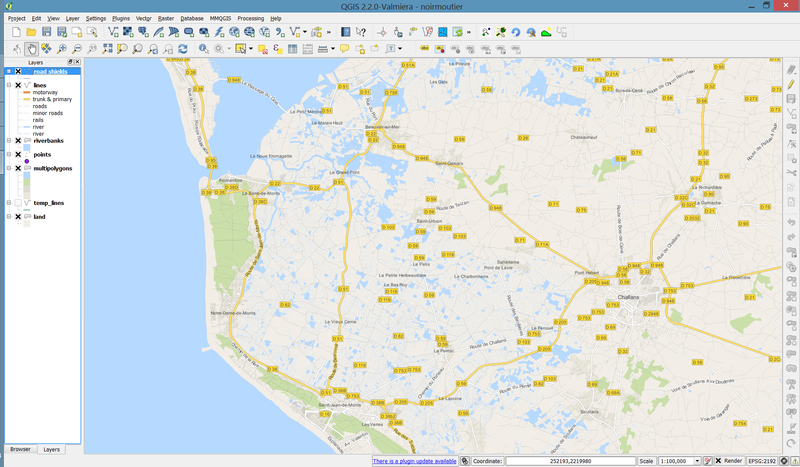 To do that, I suggest to first select the coastline using "other_tags" LIKE '%"natural"=>"coastline"%' and create a new layer from this selection (save selection as …) and edit it (don’t forget to enable snapping!) to add lines to close the area. Then polygonize. Now that all preprocessing is done, we can focus on the styling. 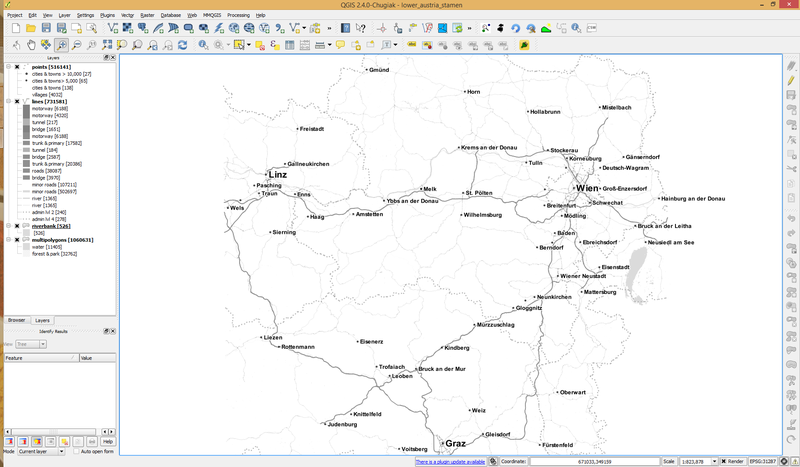 is there a way to make road label font size depending on road lenght (with osm layer)? 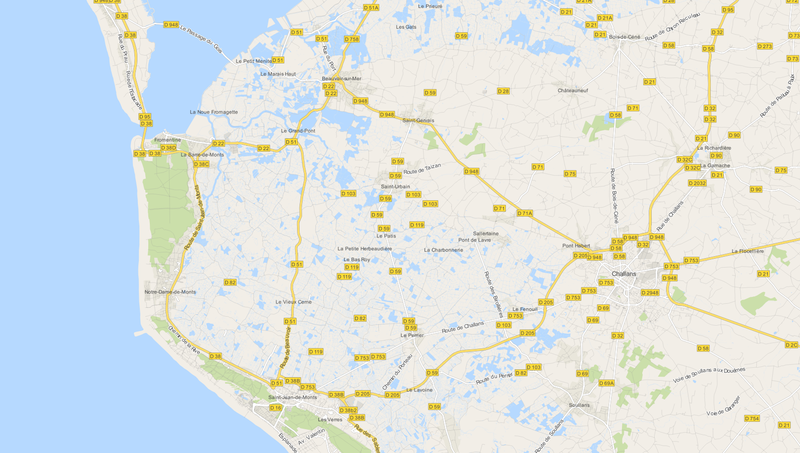 Indeed, it could be interresting to see all roads, even the smallest, on a city map rendering. 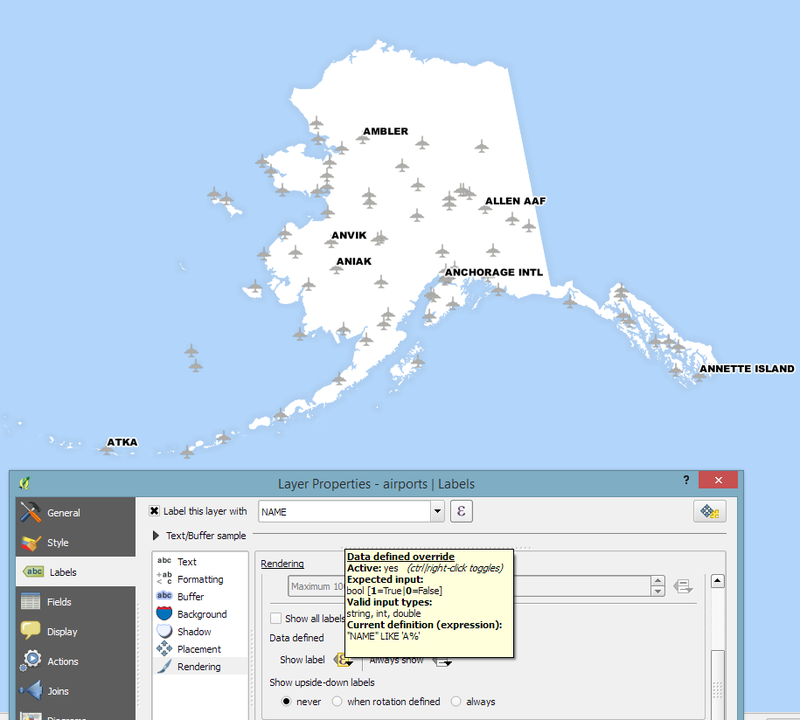 Thanks to the data-defined labeling capabilities of the new QGIS version, we can! 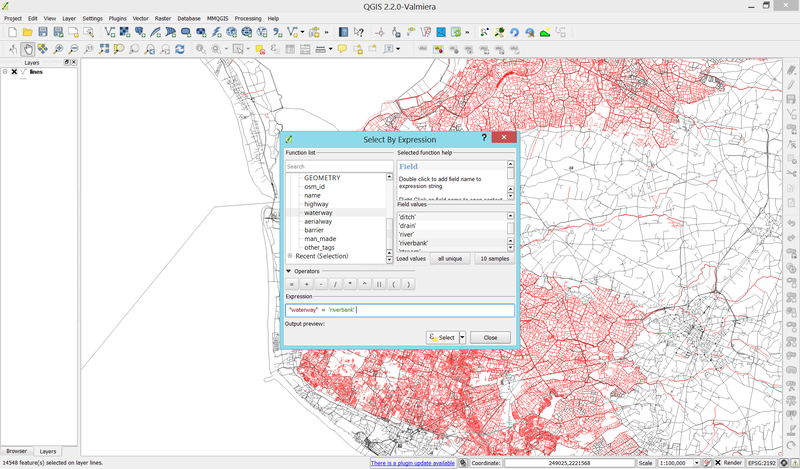 Since OSM data is in WGS84 by default, street length will be measured in degrees and therefore the values will be small. To get to a reasonable font size, I selected $length * 1000. 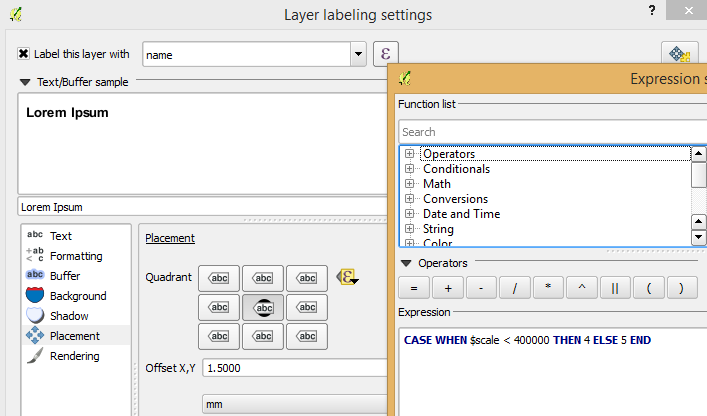 The second part of the question can be addressed using a setting in the Rendering section which is – very descriptively – called “Show all labels for this layer (including colliding labels)”. While I doubt that this simple method alone will create a great road map, I think it’s still an interesting exercise with sometimes surprising results. which is much easier to read and remember. 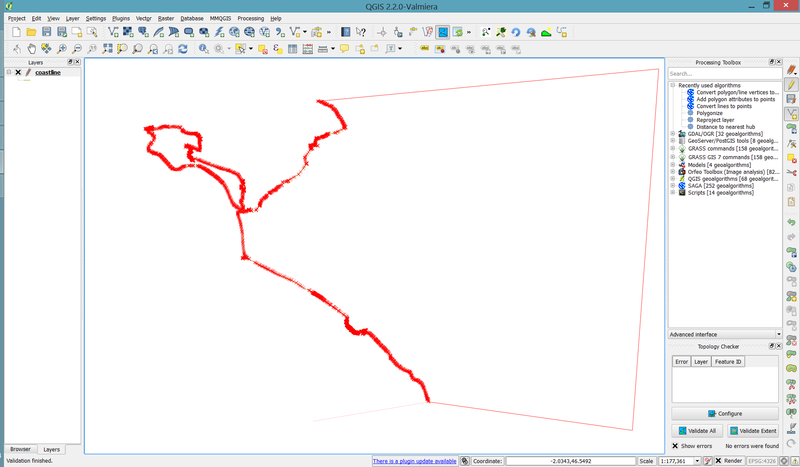 To avoid roads from being labeled with only their road numbers, I added an additional check that the “osm_name” is longer than six characters. Thanks to Nathan’s syntax highlighting this new and powerful expression based labeling is also comfortable to use.